Making sure your finances are ready for some of the most challenging times in your life. Let’s face it, even good financial plans will face challenges sometimes. You may have a handle on your money until life throws you a curve that you weren’t expecting. Still, with a little planning and a good saving strategy, you can handle even the biggest challenges that life can bring. If unexpected roadblocks have left your finances in a pinch, we can help you regain control so you can start moving forward again. Call Consolidated Credit today at 1-888-294-3130 or ask for help online help now with a request for a free Debt & Budget Analysis. We all need to get away, but you don’t want to bring stress of debt back as a souvenir from your dream vacation. We show you how to plan ahead for credit-free vacations, as well as how to handle travel debt effectively if you end up pulling out the plastic on your trip. It’s hard enough to mange your money on your own, but when you merge the finances and financial perspectives of a couple there are more issues to consider. From how to walk down the aisle without amassing a huge debt, to how to start a discussion about money before you tie the knot, we have tips to help you move forward towards financial success as a couple. It’s no secret that kids are expensive. Estimates show raising a single child to the age of 18 costs a quarter of a million dollars – and that’s without including the cost of college! If you want to start a family the right way, you need to make sure your finances are ready. We’ll help you grow your family without facing financial ruin at every turn. Money is not only a leading cause of divorce; it’s also a leading cause of stress and conflict during the divorce process. To help make your financial transition easier, we cover everything you need to know to separate your money as easily and efficiently as possible. Find valuable information to help you move forward. Raising kids is financially challenging, but it’s even harder when you’re doing it on your own. If you’re a single parent raising children, then you need to develop unique financial strategies that address the potential roadblocks you can face. 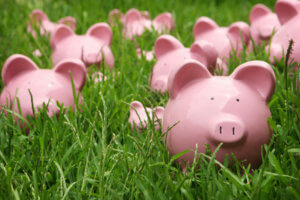 We offer tips to help you give your child the financial stability they deserve. Surviving your spouse is challenging enough. In such a trying time, the last thing you want to do is worry about money while you try and work through your grief. 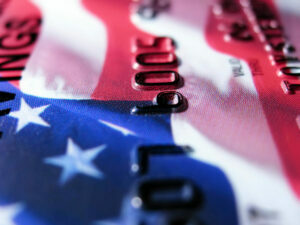 Consolidated Credit offers advice on how to get through this trying time as smoothly as possible. Losing your job will of course have an impact on your finances, but how big an impact is dependent upon on how long it takes you to find a new job AND how prepared you were in advance. We give you tips on how to stay ahead until you can secure a new position so you don’t wind up facing financial threats like bankruptcy and foreclosure while you look for a new opportunity. 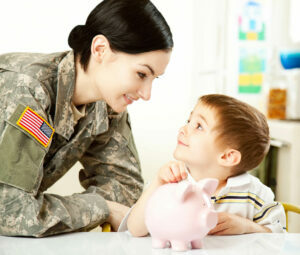 Military service offers some very unique financial challenges for both the service member and their family. Whether you’re on active duty or in the reserves, you need to know how to handle your finances and plan ahead for tours of duty. We’ll show you everything you need to know to support your family while you serve your country. There are very few places you can live in the world that doesn’t have at least some threats of natural disasters. 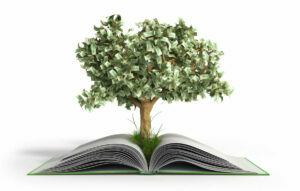 It’s important to plan ahead for acts of nature so your financial stability isn’t washed away or burnt up in a flash. We offer tips on how to plan ahead for disasters so you can weather any storm. As parents get older, it’s important to take time to discuss money and financial matters. From establishing Power of Attorney to estate planning, we cover the basics of everything you need to know to start a financial conversation with your parents, so everyone can have peace of mind for the road ahead. Without a doubt, the holidays are the most expensive time of the year. We want to make families and friends feel special – and enjoy the holidays ourselves. So you pull out the credit card and ignore the bills, only to have a serious holiday debt hangover when the New Year comes around. We show you how to plan ahead to avoid holiday debt.